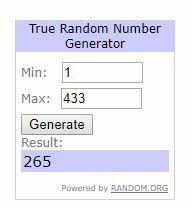 The winner of our giveaway is Sue Lydic! Congrats! We’ll email you shortly. For those of you who didn’t win, stay tuned for more giveaways coming up soon! 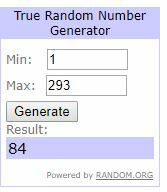 We used random.org to pick the winner of this giveaway. 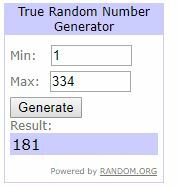 The winner of our giveaway is Heather. For those of you who didn’t win, stay tuned for more giveaways coming up shortly! Congratulations Heather! We will be emailing you shortly. It’s time for one of awesome giveaways again! 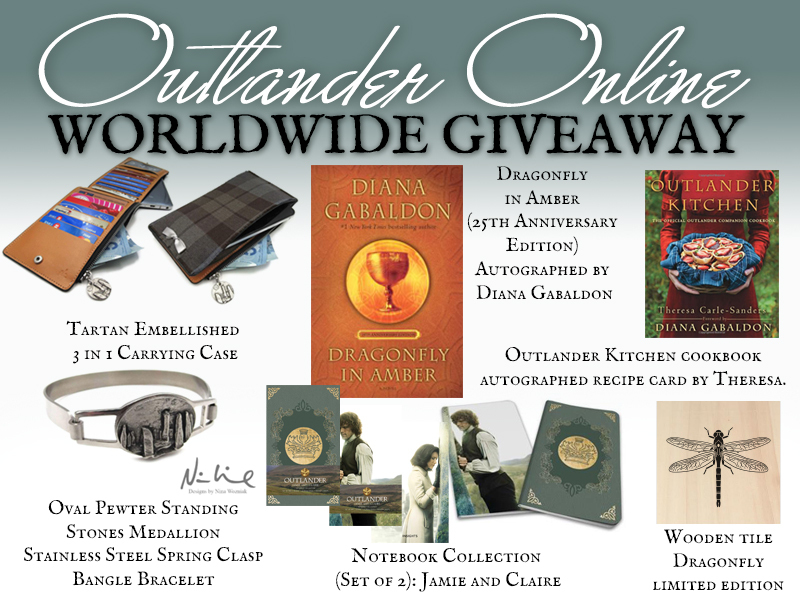 Below you’ll find all the items in the giveaway pack and what you have to do to enter. We’d like to thank Theresa Carle-Sanders, Creations Nina and In My Dreams Designs for donating items for this giveaway. Please visit their sites to encourage them if you can. 1) Follow our site on Twitter here. 3) Like our page on Facebook here. You have until Sunday, July 15th at 8:00pm ET to enter. We will number the comments. If we haven’t numbered your comment yet, don’t worry. We’ll do it as soon as we can. 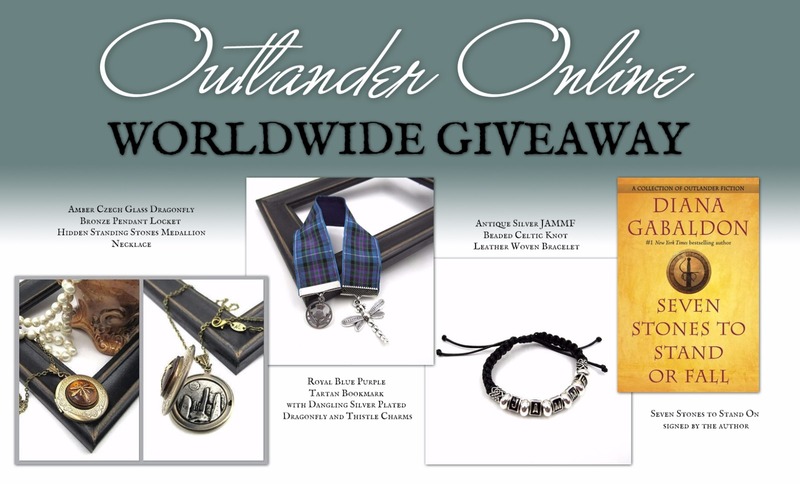 Nina, one of our very good friends, who makes awesome Outlander inspired jewellery, decided to donate some pieces for a giveaway for all of you. Nina works very hard on all the pieces she makes. 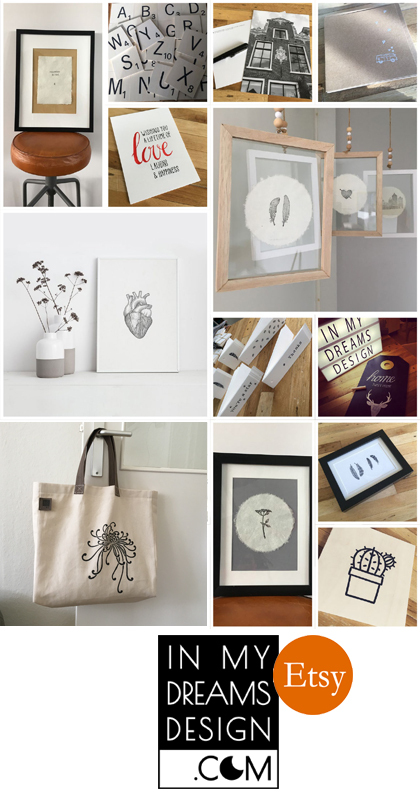 If you would like to help a small business out please check out her shop here. 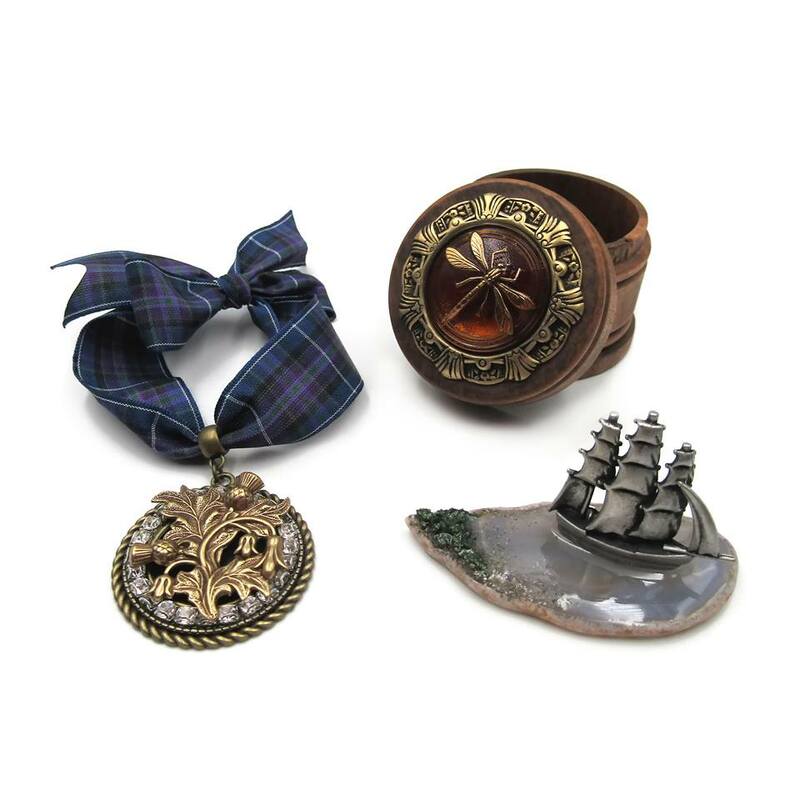 She’s donated three pieces for this giveaway: An amber dragonfly Czech glass wooden trinket box, a pewter sailing ship agate statuette and a golden thistle rhinestone embellished tartan ribbon antique bronze ornament. 1) Follow her site on Twitter here. You have until Friday, June 1st 2018 at 8:00pm ET to enter. Congratulations Carina! We’ll be emailing you shortly. A copy of Seven Stones to Stand or Fall signed by Diana Gabaldon, an amber Czech glass dragonfly bronze pendant with a locket that hides standing stones, a royal blue tartan bookmark with dangling silver plated dragonfly and thistle charms and an antique silver JAMMF beaded celtic knot leather woven bracelet (the last three items were donated to us by Creations Nina who’s amazing) Thanks Nina! 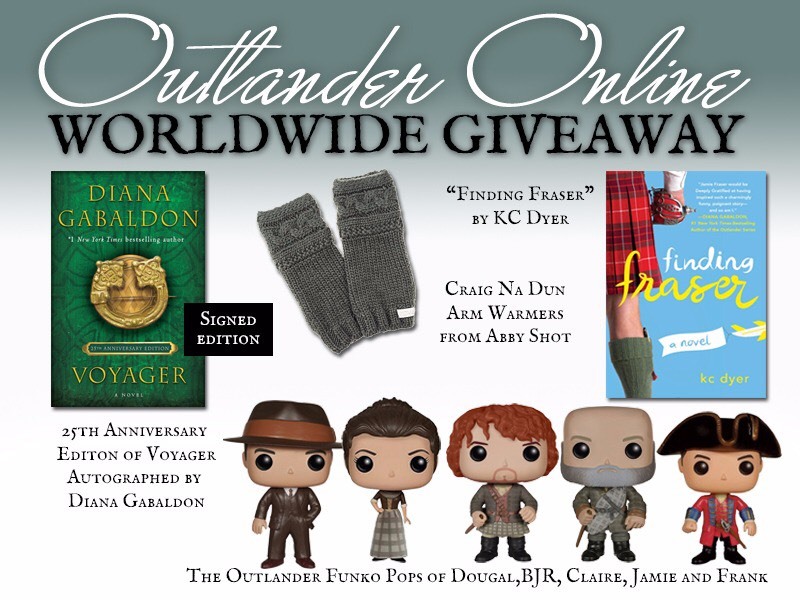 You have until Saturday, November 4th at 8:00pm ET to enter.